VENICE, La. -- Mike Frenette walks a fine line every day. For the last 30 years, Frenette has been a fishing guide operating the Redfish Lodge out of Venice, La. In that time he’s built a business that has catered to anglers all over the world in a fishery that has no match anywhere else in the world. Since the Deep-water Horizon oil spill, he has doubled as an advocate for the marsh that has provided the great fishing that people have so willingly flocked to take part in. See images of fishing in Venice, La. In those two positions he often finds himself at odds. 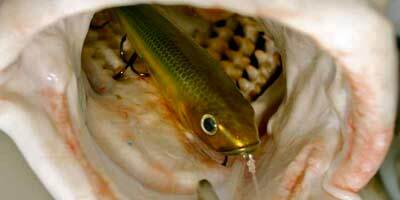 Commercial anglers all over South Louisiana have the same problem. “If I stand up and yell too loud about the oil, people think the fish are all gone. That makes it tough: On one hand, we still have the absolute best inshore fishing in the world. That’s as true today as it was before the oil spill. But on the other, we are seeing some things from the oil spill that aren’t being addressed in a timely manner. Frenette says in those areas that weren’t severely impacted by the oil spill, the fishing is better than ever. On a short trip to prove his point to four Outdoor Channel.com reporters, there were 10 redfish from 29 to 50 pounds caught in less than three hours. Then two disasters struck: Hurricane Katrina and the oil spill. And ironically enough, Hurricane Isaac added a third round a week after the trip mentioned above. “In the fishing business, people come, enjoy themselves and most of the time before they leave, they are booking a trip for the next season,’’ Frenette said. “But after the hurricane and the oil spill, people started going elsewhere. While Frenette may bemoan the business end of it, he’s more concerned with fewer people having a connection to the marsh. For video of Marsh Sadness, click here.